ABUJA, Nigeria — The head of the Islamic terror group Boko Haram has called upon Muslims worldwide to “pledge allegiance” to the Muslim barbaric group ISIS, which identifies itself as the Islamic State of Iraq and Syria. Shekau was referring to the caliphate, or Islamic State, that ISIS has been seeking to set up in parts of Iraq and Sryria. Various parts of the countries have been seized by the group, which has set up its headquarters in Raqqa, Syria—although in Iraq, local forces have been working to drive ISIS out. Boko Haram, which being translated means, “Western education is sinful,” has been seeking to build it own caliphate in Northern Africa, a part of the continent that is predominantly Christian. The group has killed thousands since it stepped up its attacks in 2009, often targeting churches and those who are non-Muslim. 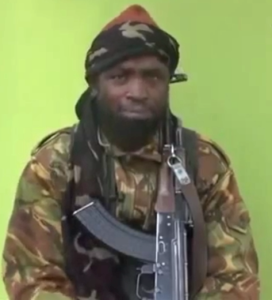 As previously reported, last August, after taking over a Nigerian town that is largely inhabited by Christians, Shekau released a video stating that Muslims were commanded by Allah to rule the world. Boko Haram had reportedly sent a letter in July threatening violence against Christians in the region. But now, as Shekau has called upon Muslims worldwide to get behind ISIS as well, they stet that it signals a growing collaboration and unity between the groups. “ISIS gets more international legitimacy as a global caliphate,” he said. According to the Intel Center, 31 groups worldwide have expressed support for ISIS.